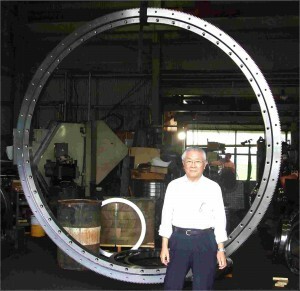 Company | Slewing Bearing｜SENSHU BEARING SERVICE Corp.
Our company has been growing up with the bearing industry in Senshu area (South-Osaka area) for 40 years, since we opened a bearing shop in Sakai-City, Osaka in 1967. All the time, we were able to supply a lot of products and get the customer satisfactions. Because we had abundant knowledge, experience and a collaborative relationship with many companies which had high technology. We will continue challenging. To get trust from many our customers. By supplying products and services fitting the needs of the customer. And we contribute to development of the manufacturing industry by shipping our products made in SENSHU to all over Japan and all over the world.